Capoeira is an Afro-Brazilian art form that combines music, dance, martial arts, and acrobatics. Capoeira Batuque is the longest standing Capoeira academy in Southern California. Capoeira Batuque Southbay is located in Hawthorne and led by Professora Minha Velha under Mestre Amen. Capoeira Batuque is committed to the study and research of all aspects of capoeira without judging any particular style. As capoeira spreads around the globe, we believe that it is extremely important to have a broader understanding of this art form as a whole. It is important that in our group for students to be exposed to capoeira in general, Angola and Regional, so they can have a larger vocabulary and a good understanding of these two styles. That is why Batuque students are urged to practice capoeira without getting involved with the politics. And when people ask them what style do they practice, they should simply answer... CAPOEIRA! Dana 'Minha Velha' Maman was born in Tel Aviv Israel, to Jewish immigrant parent of Moroccan and Persian decent. She started her involvement with percussion and Afro-Brazilian culture at 15 in Israel. In 2001 Maman moved to Los Angeles and became part of Capoeira Batuque, the first and longest standing Capoeira Academy in Southern CA. There she continued her studies of capoeira and percussion under Master Teacher, Mestre Amen Santo. Maman has since traveled in the US and internationally performing and teaching capoeira and Afro-Brazilian music. Today she stands with over 25 years of experience is the art as a third level 'Professora' (graduated teacher). 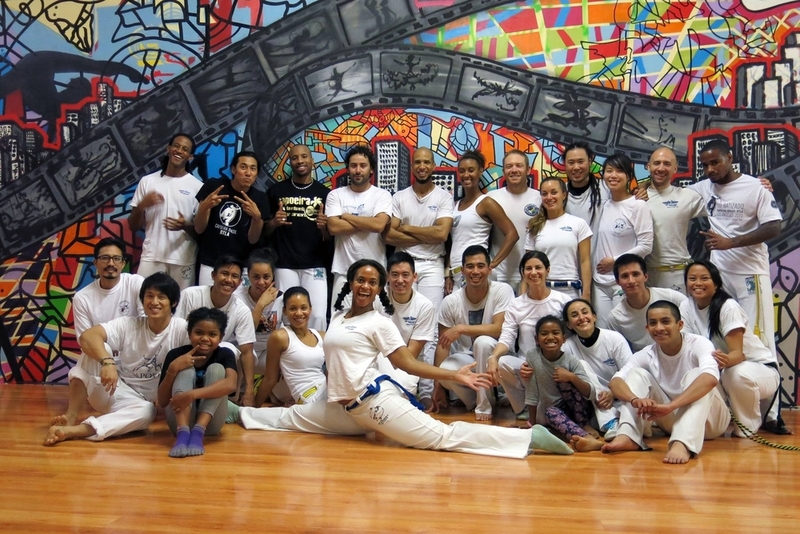 She runs one of the few women lead and taught Capoeira Academies in the US. Her mission is creating a healthy diverse community around Afro- Brazilian culture where men, children, and especially women can grow and excel. Capoeira is great for kids of all ages. Students have fun, exercise, and learn a martial art, music, language, and culture. Check out the videos below to hear why some of our batukids love capoeira. Classes are open to all levels and are challenging but fun. New students wear comfortable athletic clothes and bring plenty of water. Regular students should wear white uniform on weekday classes. Saturday: We are usually at Eucalyptus Park on Saturdays. Please contact in advance! Capoeira is for everyone - all ages and all levels. Ask us about our first-timers' special and try out a class! If you have questions, please get in touch.